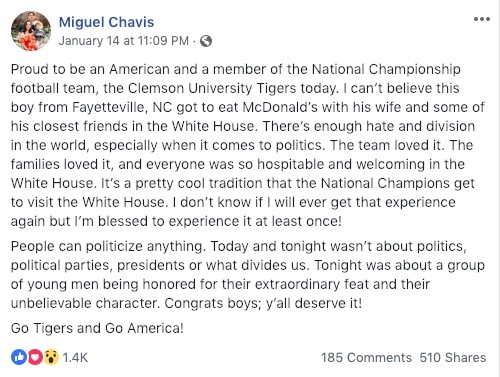 The Media(D) crapped all over President Trump for giving fast food to college kids — but they forgot to ask the Clemson Tigers what they thought of the gesture. The scandal that occurred at the White House on Monday night was one for the history books. 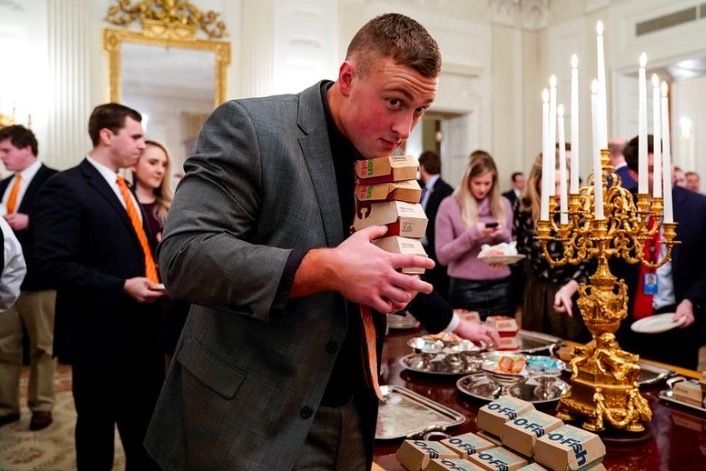 Never has there been a time in our democracy that the President of the United States of America hosted a college championship football team and deigned to feed them fast food. According to the Media(D) this might actually be worse than the non-crime of ‘Russian collusion’ of which there is no evidence at present. When I reported on this story yesterday,’Trump Serves Fast-Food To Clemson Champs – Liberals Lose Their D@mn Minds’ I had no idea how true that headline was. Aside from the expected jabs from the Late Night Democrat Pravda, the Media(D) was the worst. But, being the place where Journalism Plummets Into A Deep Abyss Where There Is Pitiful Wailing And Gnashing Of Teeth, Bump managed to hazard an estimate. Bump decided to further fact-check one more claim made by the President because, WaPo Genius Reporter™ that he is, he is apparently clueless as to what ‘figurative language’ is and how people use idioms and exaggeration quite often in normal, human speech patterns. Wow. 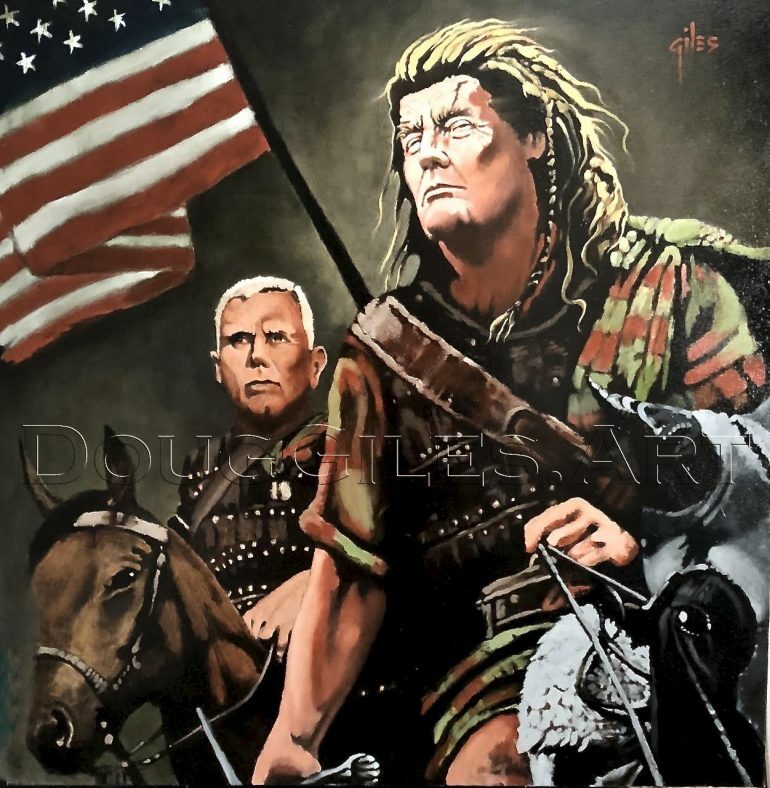 Trump Derangement Syndrome is a real b*tch. Let me offer a little fact checking in the style of Phillip Bump of the (formerly) esteemed Washington Post. FACT CHECK: No one has ever been hungry enough to eat an entire horse. FACT CHECK: When wishing a performer good luck, people don’t actually want them to ‘break a leg’. FACT CHECK: The Washington Post’s reporting, while not a mile wide, is merely an inch deep. 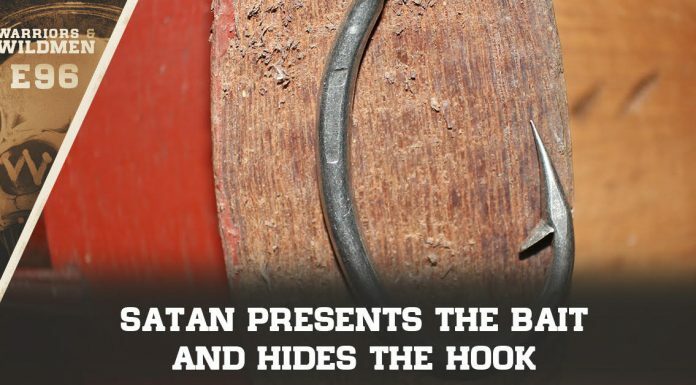 Phillip Bump just can’t seem to wrap his head around an idiom. I should clarify that that is also a thing called figurative language. As malleable (and empty) as his noggin may be, I don’t suggest he try to literally wrap it around anything, let alone an idiom. He might hurt himself or others. But, Clemson players loved it. Proud to be an American and a member of the National Championship football team, the Clemson University Tigers today. 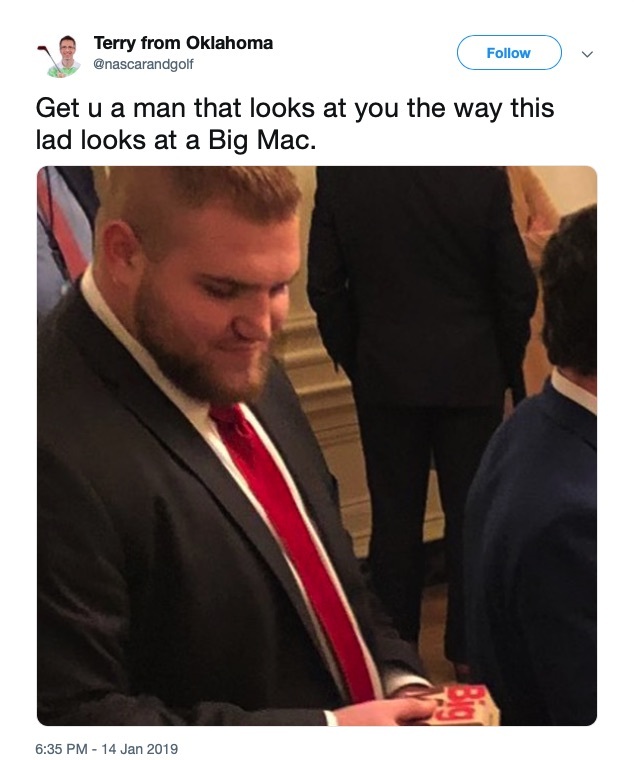 I can’t believe this boy from Fayetteville, NC got to eat McDonald’s with his wife and some of his closest friends in the White House. There’s enough hate and division in the world, especially when it comes to politics. The team loved it. The families loved it, and everyone was so hospitable and welcoming in the White House. It’s a pretty cool tradition that the National Champions get to visit the White House. I don’t know if I will ever get that experience again but I’m blessed to experience it at least once! People can politicize anything. Today and tonight wasn’t about politics, political parties, presidents or what divides us. Tonight was about a group of young men being honored for their extraordinary feat and their unbelievable character. Congrats boys; y’all deserve it! Go Tigers and Go America! Here’s the thing — this Clemson Tigers Championship team will be immortalized because the anti-Trump leftists will insist that this moment is included in history books just to mock the President. They have had a unique White House visit, one that won’t likely be replicated. That’s a story that each of them will have for the rest of their lives. The softboiled eggheads in the Media(D) can never take that from them.